"There's a lot of beautiful oceanfront property all over the world, but there's only one Camel." 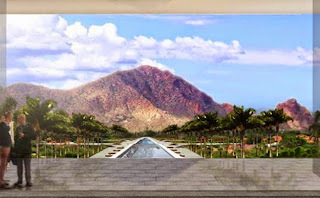 So says Jerry Ayoub, president of Scottsdale-based Five Star Development, which has revived long-delayed plans for a Ritz-Carlton resort in Paradise Valley at the foot of metro Phoenix's most-recognized landmark, Camelback Mountain (AZBEX, Nov. 24, 2014). Five Star is gearing up to submit formal plans for the luxury hotel to Paradise Valley officials this month and hopes to get approval by the end of the summer. Construction would begin around January 2016, and the Ritz-Carlton could open by September 2017.